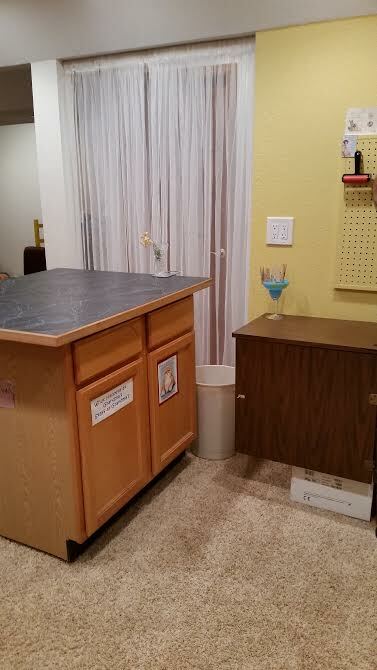 My husband moved to a “new” house after 22 years. 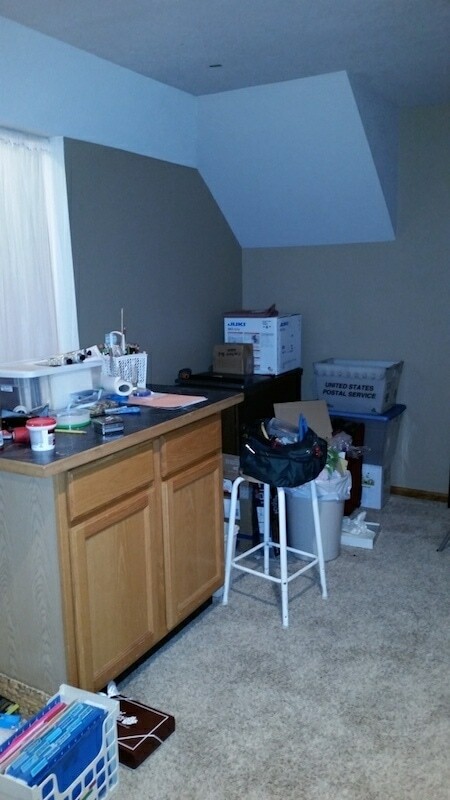 My “new” studio is a charming area in the finished basement. 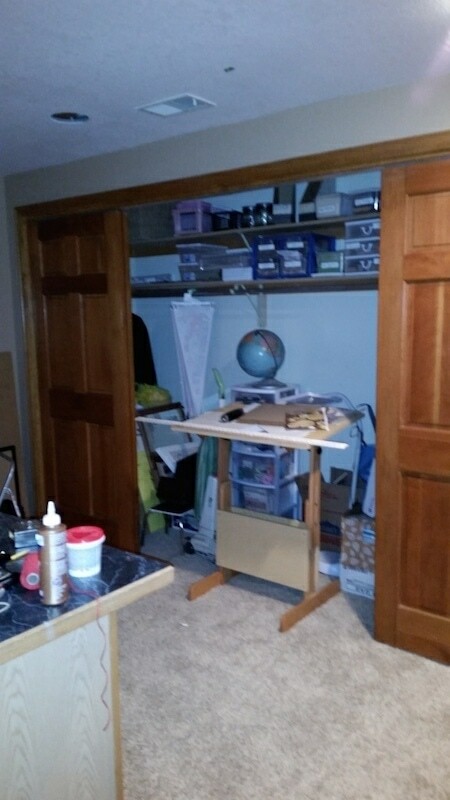 I had barely gotten a start at turning it into my dream studio when the holidays arrived. We “stuffed” lots of things that hadn’t yet been put away after our move, in my studio! 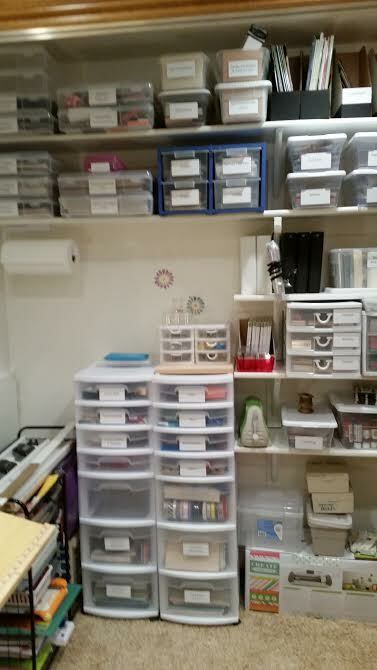 January will be a perfect time to turn the mess into my studio so my creative projects can be resumed! Yea!! Perfect timing!! 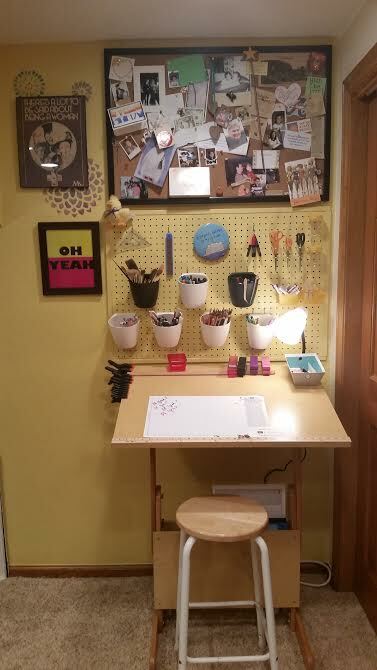 My studio is complete! 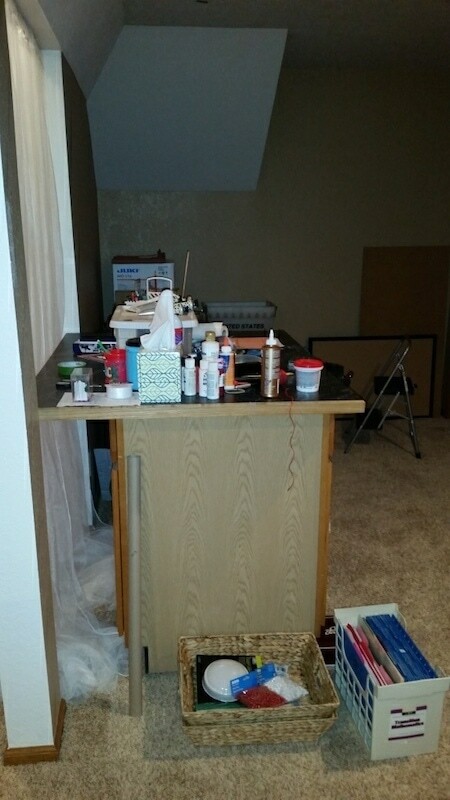 The challenge was just what I needed to get myself going after moving into a beautiful new house and finding myself a bit overwhelmed with tge challenge of turning it into our home. The lighting we installed was about $400. Storage containers $100 and paint $50. It was labor intensive, but it was mostly enjoyable. I learned to again believe in myself. And I was reminded that every idea doesn’t work, and that’s okay, because it’s will lead to another. Thank you for challenging me. I can’t wait for the next one! 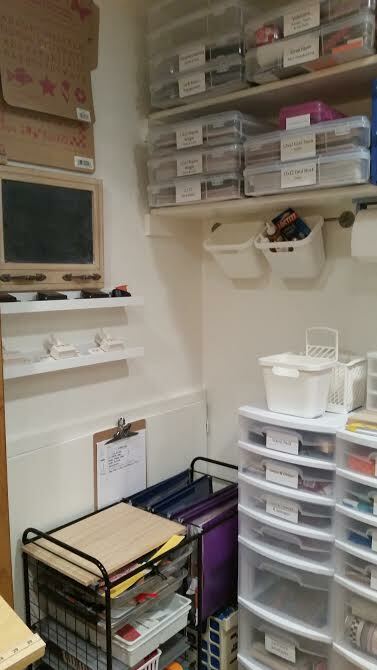 What a great crafting space! Well done, Carolyn! 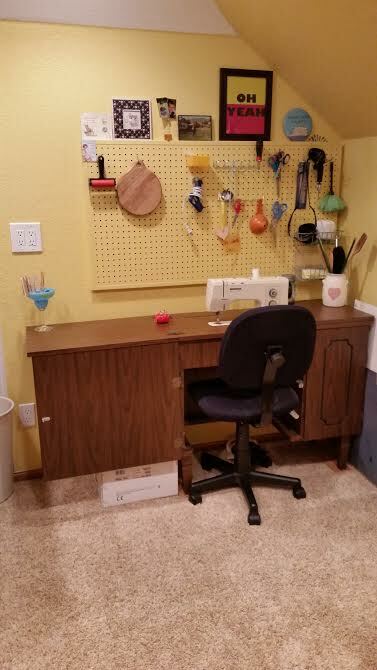 Want to re-do your own crafting space? Sign up HERE for the next room challenge!